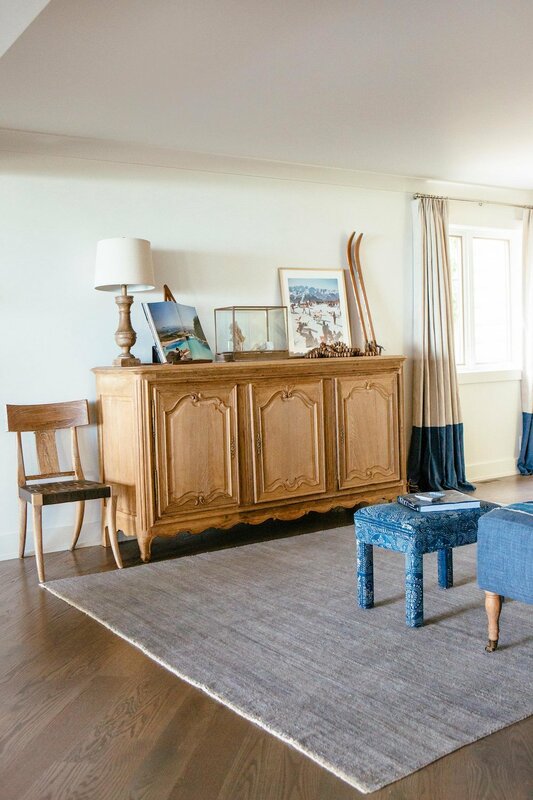 Located on beautiful Lake Michigan, this New Buffalo summer home was redesigned to make it easy for the homeowner's to host their families and friends. 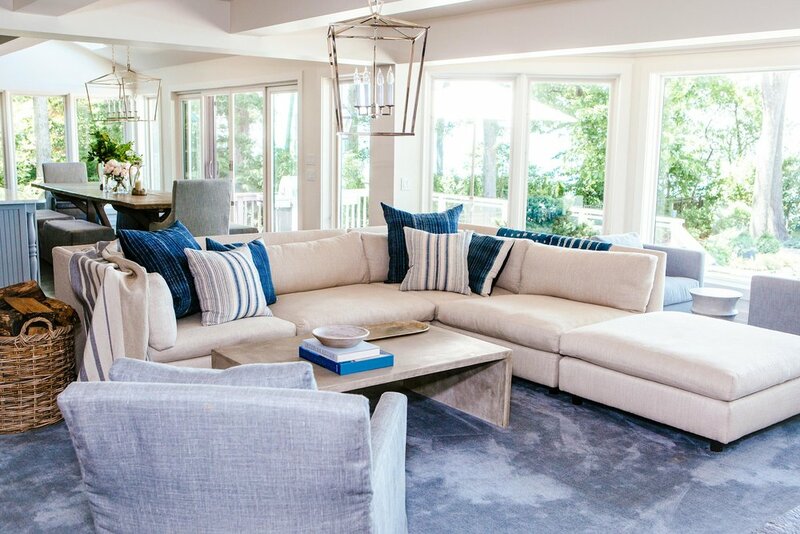 We kept the furnishings and fabrics comfortable and casual. 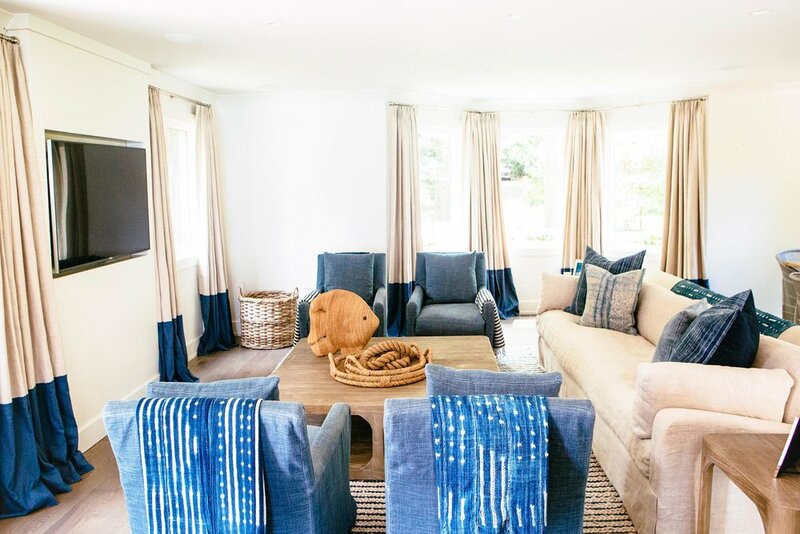 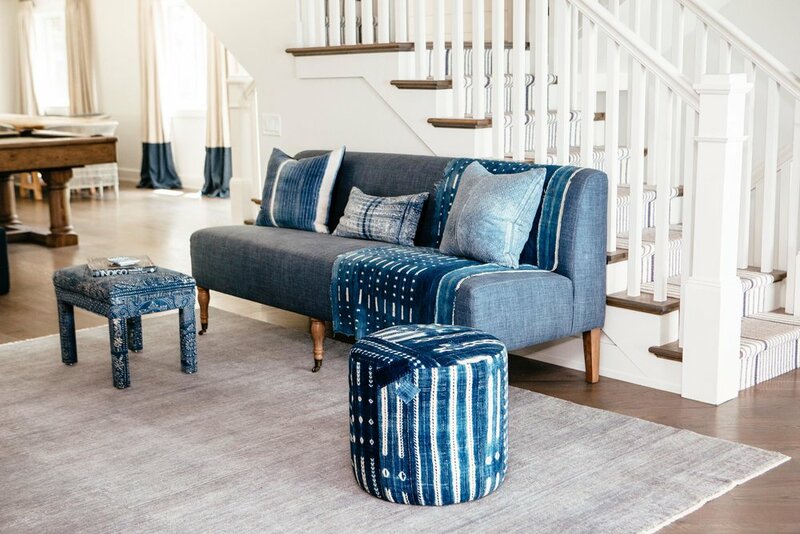 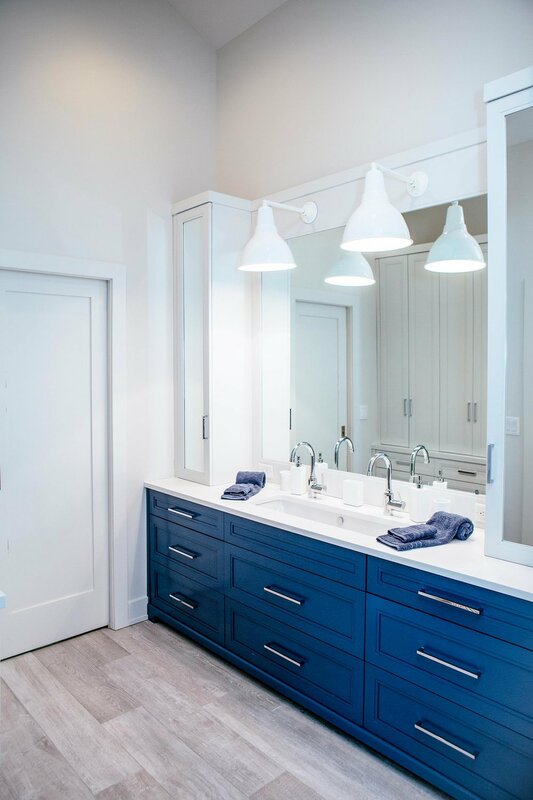 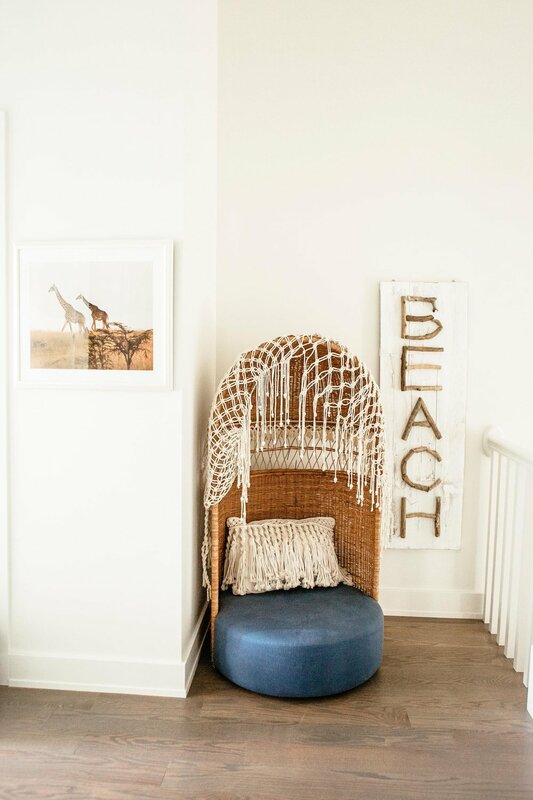 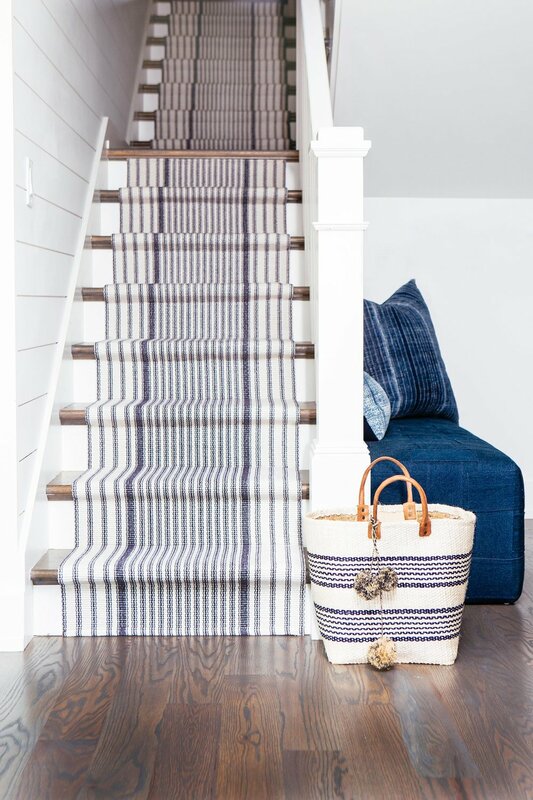 The indigo color palette is repeated throughout the home and the tones beautifully mirror the sand and waters of Lake Michigan, melding with the stellar view. 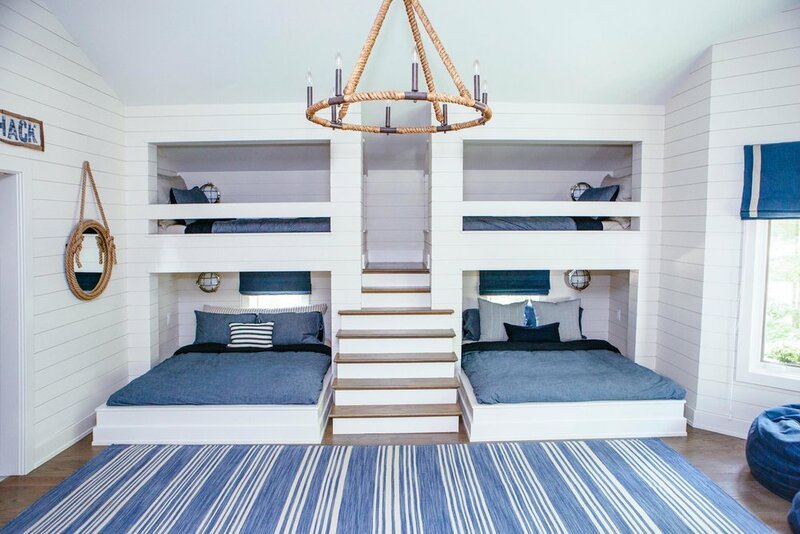 A special highlight is the custom bunk beds which maximize the space so that many guests can easily spend the night. 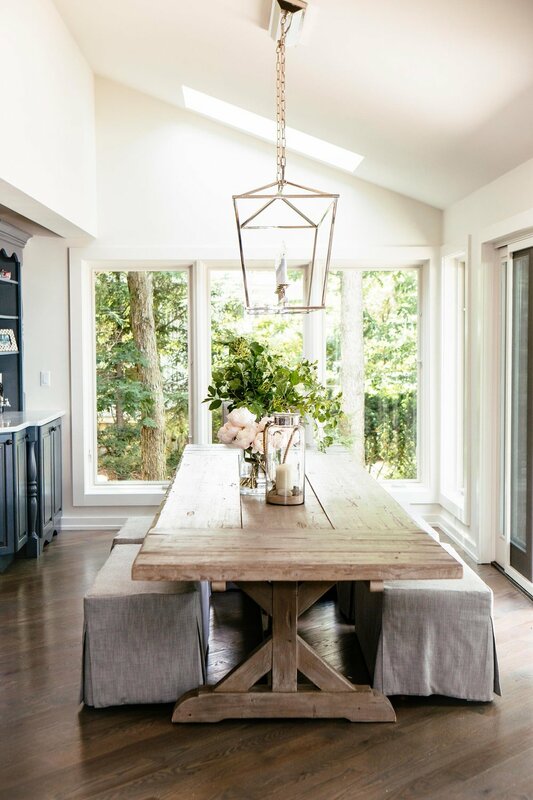 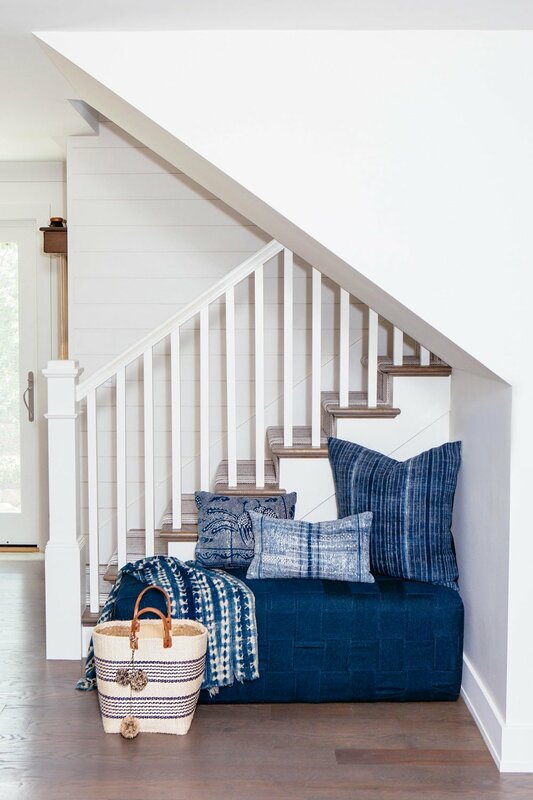 The shiplap walls, driftwood-toned flooring, raw pine furnishings and vintage textiles are chic yet understated, in keeping with the laissez-faire summer mood.